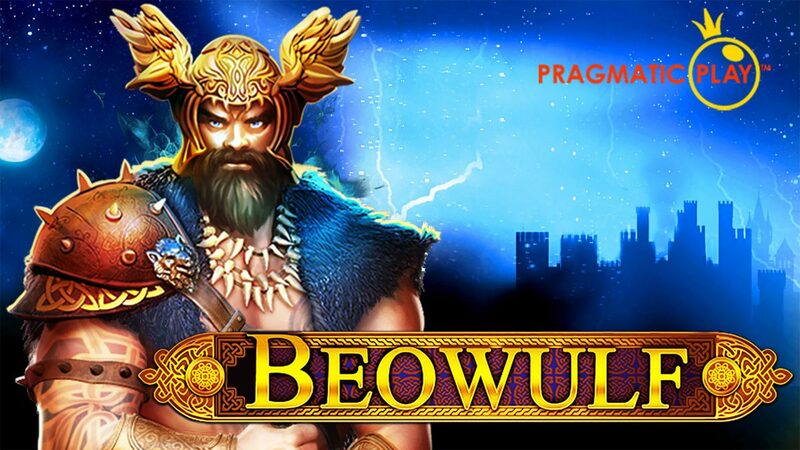 Inspired by an Old English poem the epic story of Beowulf has captivated generations, features in plays and even films. 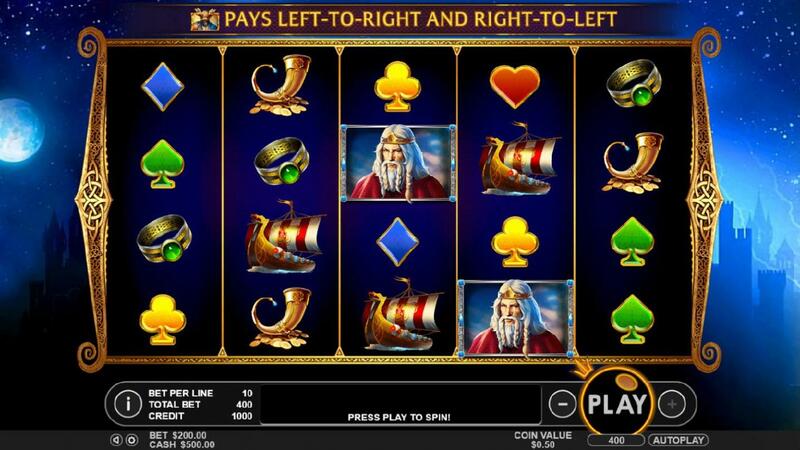 Now you can play an epic online slot from Pragmatic Play that is full of the drama of the tale. Much of the game revolves around the hero himself and lovers of scatters, wilds and bonus features will find plenty to like in this all-action slotsbaby slots. Give it a spin and see if you could be a big winner here today! Check out our entire list of jackpot slot game online here at SlotsBaby. The Pragmatic Play team produce online games around a variety of themes, some you’ll have seen before, but they do try to put their own inimitable spin on popular themes and offer diverting bonus rounds and features. They are a Malta based company and have been developing online slot games from the little island since 2015. Players of all ages and experiences enjoy playing their games so it’s little wonder they are hosted by online casinos across the globe. Their gameplay can be relied on to be pretty seamless so are a good cross-platform option too. If you love promo's, check our online promotional offers today. This theme carries through nicely to the symbols on the reels. Yes you’ll see the standard card suits popping up and getting three or more in a row will reward you modestly. The themes symbols will bring bigger rewards, you’ll come across a horn, a longboat, a ring. Beowulf himself is fittingly the most rewarding symbol, find 5 of him in a row and you’ll land a huge 2500 credits. He can also set off a special feature by activating the Super Respin. This only occurs on reel 1 and you must have four of the lead characters tiles stacked for it to happen. 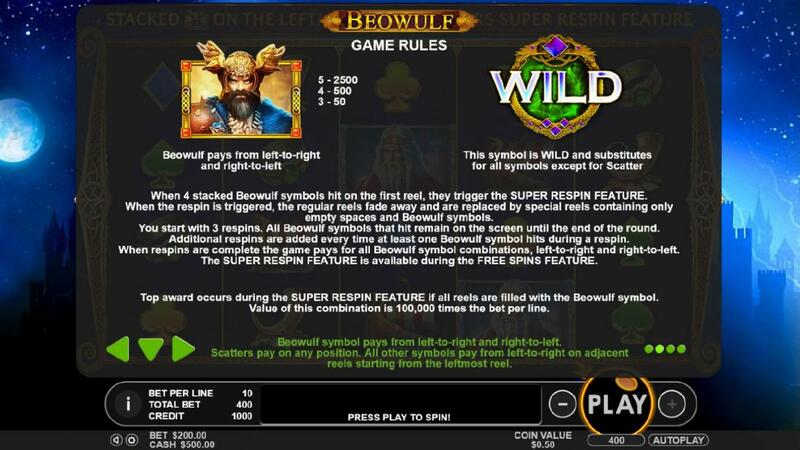 When it kicks off all other icons disappear and either blank or Beowulf tiles take their place, with the hope that lots of winning combinations are made in the extra 3 spins you are given. You should keep your eye out for the wild, as is pretty standard this symbol can take the place of other symbols to help you to a winning line.